Helping others has been a priority for Sue Taylor in life and in business. The experienced occupational therapist runs SPOT for Kids, which provides community-based rehabilitation services for children with acquired brain injuries, learning and behavioural problems. Thanks partly to the Small Business Mentoring Service, SPOT for Kids is now much better placed to continue to serve the community and expand its operations. Sue has more than 25 years experience working in paediatrics and acquired brain injury, and worked at the Royal Children's Hospital, SCOPE’s school service, Hampton Rehabilitation Hospital, Specialist Children's Services and The Victorian Rehabilitation Centre’s Child and Adolescent Unit. In 1999 after being in the industry for 15 years and noticing a gap in service delivery, Sue started SPOT for Kids to utilise her skills, run a centre where good staff were valued and where quality service was delivered. The centre has community-based rehabilitation services for children and adolescents with acquired brain injuries, and a fast expanding service for children with autism spectrum disorders. SPOT For Kids is the only private paediatric therapy practice specialising in working with children and adolescents with acquired brain injury, and the only one in Victoria serving clients in their own communities via their home, local area, school or preschool. 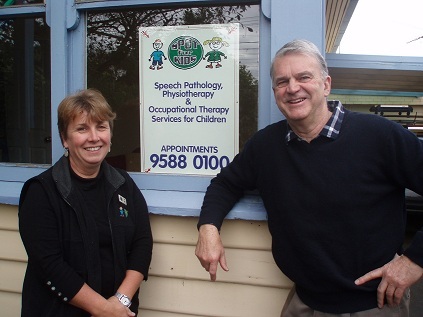 Families can also access speech pathology, physiotherapy and occupational therapy from the same service. The centre now has 19 staff; seven occupational therapists, six speech pathologists, three physiotherapists, an allied health assistant and two administrative staff. While it provided a unique and quality service, SPOT for Kids was struggling to find the best way of operating to ensure its future viability and development. After reading about the SBMS in a pamphlet and searching the internet, Sue was matched with SBMS mentor Rob Bruce. Rob has extensive experience in general management, strategic planning, marketing and financial management in the telecommunications, software, food and packaging and manufacturing industries. He saw Sue over separate six month and four month periods, for a total of six in-person sessions. They have maintained contact and Rob is continuing to offer advice when needed. Rob says the business was achieving “quite satisfactory growth”, but Sue could not pay herself a wage and rarely had spare money to develop the business. She was also concerned about the amount of paperwork and lack of profits. “The financial reports were not satisfactory and there was confusion about the future direction of the business,” he says. Rob suggested making administration a priority, and helped develop a workplace agreement that met the fairness test, maintained employment standards and encouraged productivity while safeguarding the business’s viability. Financial targets were set and pay arrangements restructured and standardised for all staff. Some left but new staff joined on the new arrangements, boosting profitability. 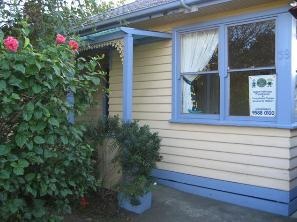 Prices were also adjusted and the invoicing cycle changed from monthly to fortnightly. A receptionist/administrator was employed to prepare the accounts and complete the invoicing. After several years of mentoring, SPOT for Kids staff numbers rose to 19 full and part-time staff from 10 in 2006, and sales increased by 150 per cent. Sue says Rob’s objectivity removed the personal element from discussions and enabled her to explore all options, be heard and listen. “Rob has just worked with us to review the profit margins and opportunities to improve this, and to develop a plan around managing this,” she says. Profitability is still not ideal but more recent sessions refined the remuneration package and should generate more profit in near future. Rob says Sue now has a financial control system that allows the business to be managed and a good understanding of the need to cover overheads and set prices to deliver a satisfactory operating margin. Sue cannot speak highly enough of Rob’s objectivity and advice. “The business would not have survived past 2007 without the changes made as a result of the decisions and actions formulated with our Mentor,” she says.